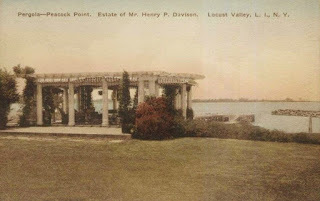 'Peacock Point', the Henry Pomeroy Davison estate designed by Walker & Gillette c. 1914 in Lattingtown. 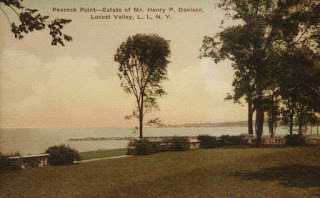 Click HERE, HERE and HERE for more on 'Peacock Point' which is no longer extant. A fine one you've chosen to commemorate today. Naturally any choice would have been a good choice. The coincidence that Old Long Island exists in the span of time when most subjects of its focus reach the century mark is worth a moment of contemplation. That includes those standing as well as the fallen. If allowed just a bit more time the number would approach well over 95%. I'll still stand that this is one of Long Island's greatest losses. Spent much time next door at the Appleby house Edgar and Paula in 80s and 90s.What a beautiful serene place! I was at this location last year and sent Zach several pics. Hope he posts them! 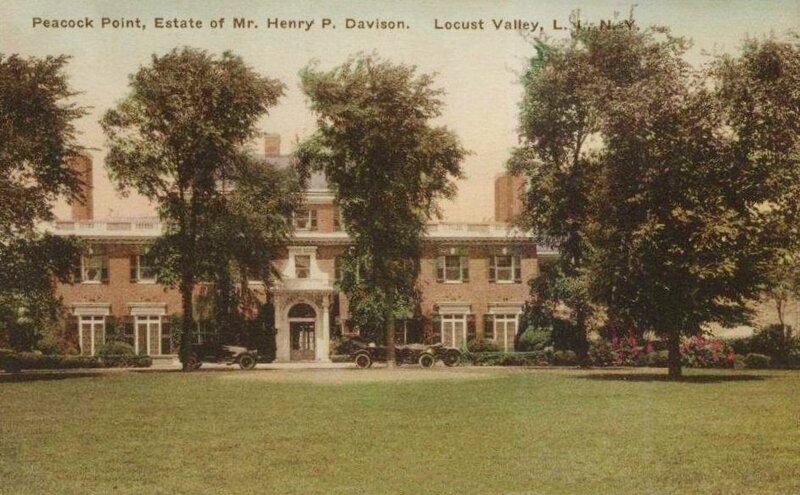 His site has really increased my passion for Gold Coast mansions and especially what is remaining to this day. This site has really increased my passion for Gold Coast Estates and especially what is remaining to this day, even if it's just some scattered ruins around a property, it's all worth exploring! 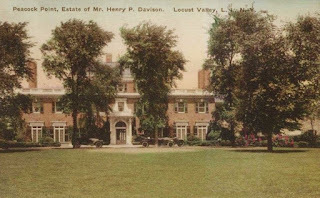 Some of the Davison family still live here. and he left to go to war.The Davisons persuaded him to send his sons to America for safe keeping. I wonder where the painting is now? I have a coloured photo of it. I'd like to purchase a book about the Gold Coast Estates of Nassau County. I'd appreciate any suggestions.